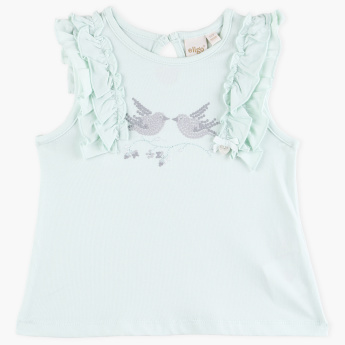 Sporting bird motif embroidery in front with frill detail, this round neck top is a perfect choice for your little one. 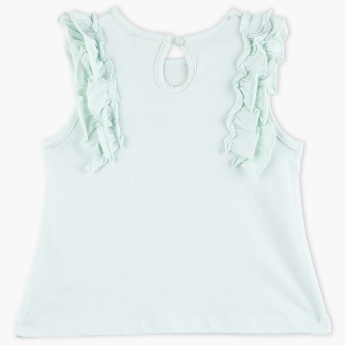 It highlights ruffle detail on the front and back that adds to its allure. Made from a breathable fabric to lend utmost comfort to your baby, this t-shirt is a must-have.